I started watching Ugly Betty in 2009 and because you can download everything on the internet i was able to finish all four season first quarter of 2010. 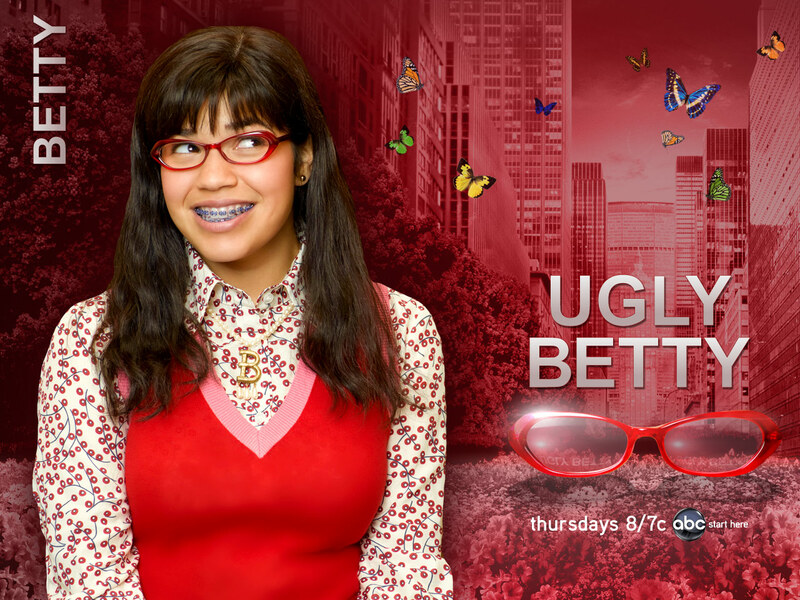 Since Ugly Betty was my inspiration on starting a blog, i might as well write something about it. Ugly Betty – a funny, good hearted comedy series based on a Colombian telenovela “Yo Soy Betty La Fea”. Betty Suarez, who’s dream was to make it into publishing business landed a job at Mode, a trendy high fashion magazine based in Manhattan that is part of the publishing empire of the wealthy Bradford Meade. The story revolves around HOW Betty who’s funny looking, aided by braces, glasses and a hideous wardrobe survived the criticizing world of fashion industry.